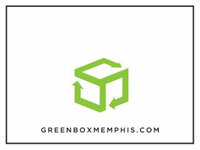 Greenbox Memphis in Memphis, TN offers you an eco-friendly moving and packing alternative. 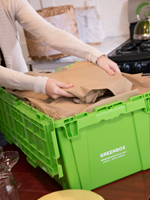 Our Greenboxes are a sensible and affordable substitute to using cardboard boxes when you need to pack and move your stuff! 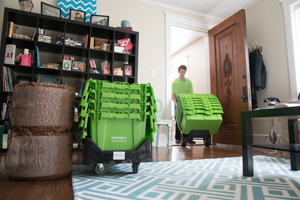 These boxes are visually appealing, reduce clutter, are stackable and accompanied with a dolly that enables even an elderly person to be able to move 150 lbs. of items with ease. Meet the humble (but amazing!) 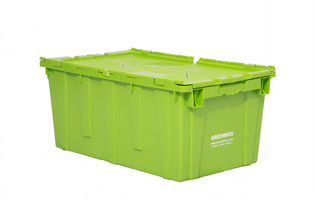 ‘Greenbox.’ Made from durable, recyclable plastic, it comes with an attached, lockable lid so your stuff stays safely inside. Ergonomic handles make lifting and carrying easy, and they stack neatly in sets of three inside the dolly. 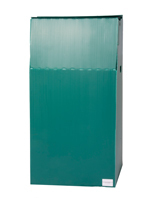 Greenboxes lockable lids meet HIPAA regulations.Dimensions: 27″ x 17″ x 12”, Holds About 50lbs each. Use our incredible GreenWrap just once and you’ll fall in love. This alternative to bubble wrap is 100% recyclable, biodegradable and cushions your valuables in a soft, eco-friendly hug. 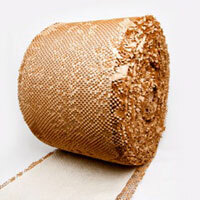 Once you try GreenWrap, you’ll say goodbye to the bubbles forever.Dimensions: 150″ by 14″ Wide Rolls for $29. Our Packing Paper is 100% recycled and comes in large sheets perfect for wrapping glasses, plates and other delicate items. 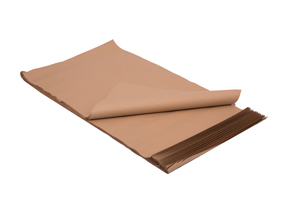 No more newsprint smudges all over your hands and your stuff!Dimensions: 24″ by 36″, 90-100 sheets sell for $17. It’s how we roll! 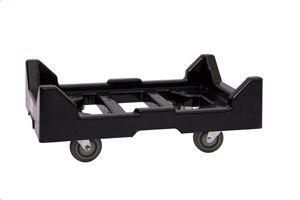 Our exclusive dolly is designed especially for moving Greenboxes quickly and easily. One dolly is included in your bundle and you can rent extras for $3 per week. 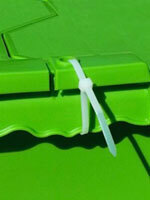 They’re small but important, keeping your Greenbox lids locked tight so everything stays put. They’re included in your bundle, so enjoy! Think of this as a zip tie’s beefy, protective big brother. These 8” long, numbered ties are perfect for high security needs. They sell for just .50 cents each. 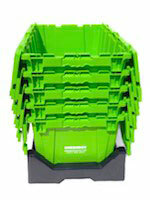 No more guesswork about where to find a fork or an important file. Our specially designed labels are a perfect match for your Greenboxes and are included in your package. Are you moving to a new place and dread the use of cardboard boxes? 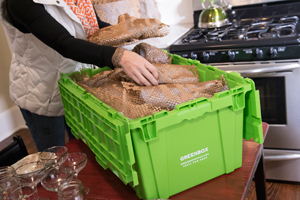 We give you a better alternative with our eco-friendly moving boxes. 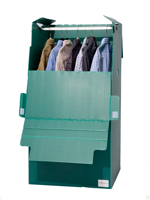 Get in touch for your Greenboxes today.